All day camping in your trampoline and tent! It’s lucky that you can do much more than jump on your trampoline. On these incredibly hot weekends, we shouldn’t be surprised when all that the kids want to do is lay about. The trampoline offers a great way to ensure that the kids aren’t becoming trapped indoors, even if they don’t want to be beating their highest bounce score. We’ve spoken before about ideas to make camping in your backyard Vuly a night to remember. Today, we’re exploring how to turn your trampoline and tent into an activity for the entire day and night. For the kids, an evening of camping in their trampoline starts with an afternoon in the backyard. 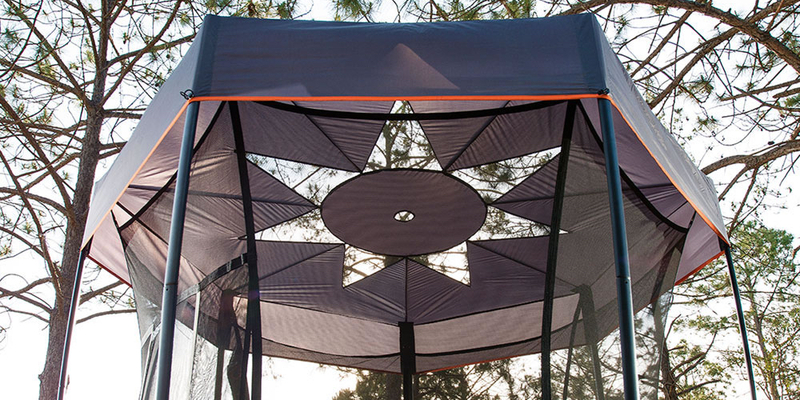 The best way to take advantage of beautiful, sunny days is with Vuly’s Shade Cover over your trampoline. With its unique ‘sun roof’, the Shade Cover offers light coverage during the beautiful sunset, but it won’t completely block out the sun—like our Deluxe Tent will. 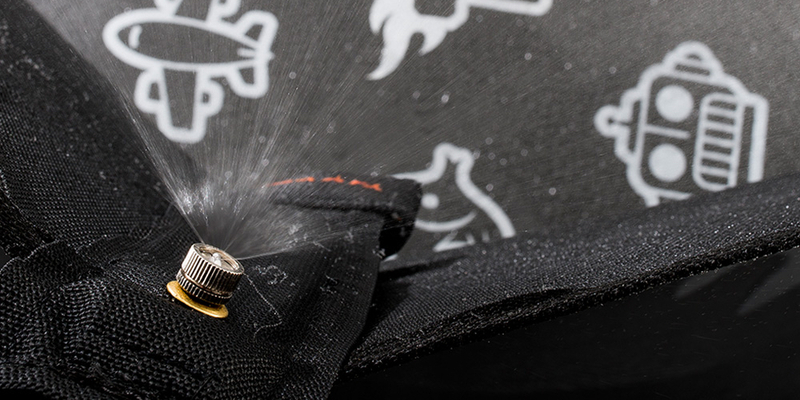 If it’s too hot to even chill out in your zone of Vuly, attach a one of our Misters! Watching and feeling the superfine droplets fill the trampoline as you lay on the cooled mat is a relaxing outdoor solution to the heat that avoids turning on the aircon. Thank goodness the nights can be a little more forgiving that the afternoons! Keep only your Shade Cover on during the camp-out if it’s still a bit warm and the kids need air-flow through the trampoline. The ‘sun roof’ also makes a great moon roof; just peek through and see the gorgeous, starry night overhead. Just make sure that it isn’t going to rain! If it’s a little bit cold, attach the Deluxe Tent and its walls instead of the Shade Cover. For the next few months—at least—the kids shouldn’t need heavy bedding in the trampoline to keep them warm during the night, but it’s hard to argue that one giant and snuggly bed isn’t a whole lot of fun anyway. 7.00 am for VIC and SA. See if they can take some gorgeous photos as the sun comes up. It’s a great time to nurture those artistic skills, and have that day and night captured in an image that you can keep forever. What’s your kids’ favourite parts of camping out all day and night in their trampoline? We want to hear what you love the most about this outdoor treat!